I thought this week would never end. It was an ongoing cycle of endless days, but the weekend is finally here!???? ???? 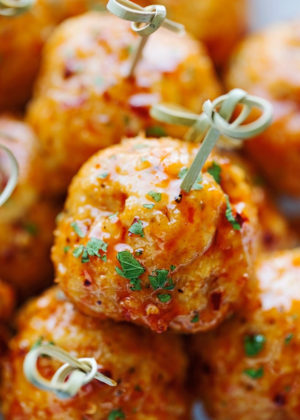 These baked chicken meatballs are one of Anees’s favorite meals. This is obviously a recent development. Because up until a couple weeks ago, they didn’t even exist. This recipe is super low maintenance. And if you’re not a fan of chicken meatballs, you can swap it out for turkey or any other kind of ground meat you please. But I do feel that chicken or turkey would pair the best with the sauce. 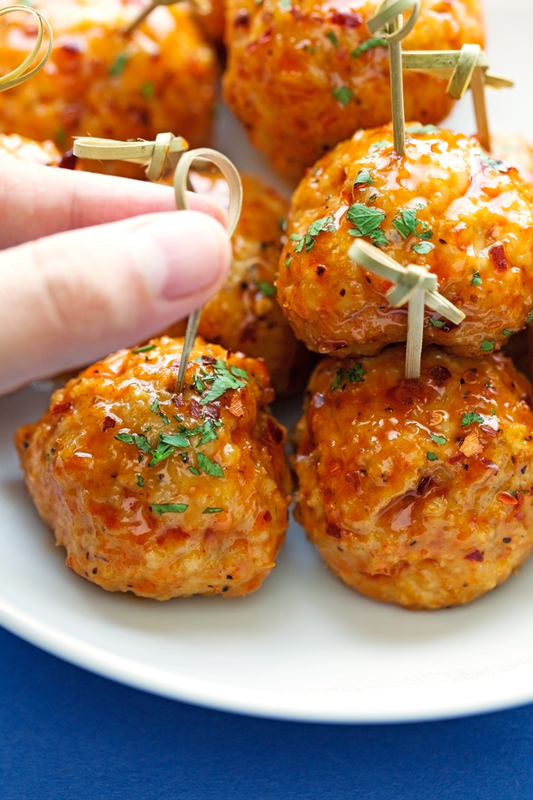 These are perfect for when you’re hosting a game day party and need something super flavorful on the table. I like to make a big batch for the two of us that we munch on all week long. Meatball subs made with firecracker chicken and melty cheese would be perfect for weekend lunches and a few meatballs paired with a side salad would be ideal for weekday lunches. And if you’re like me, with a fetish for food straight from the refrigerator, well then they’d make for a good snack too. Yup, cold. I like them like that sometimes! 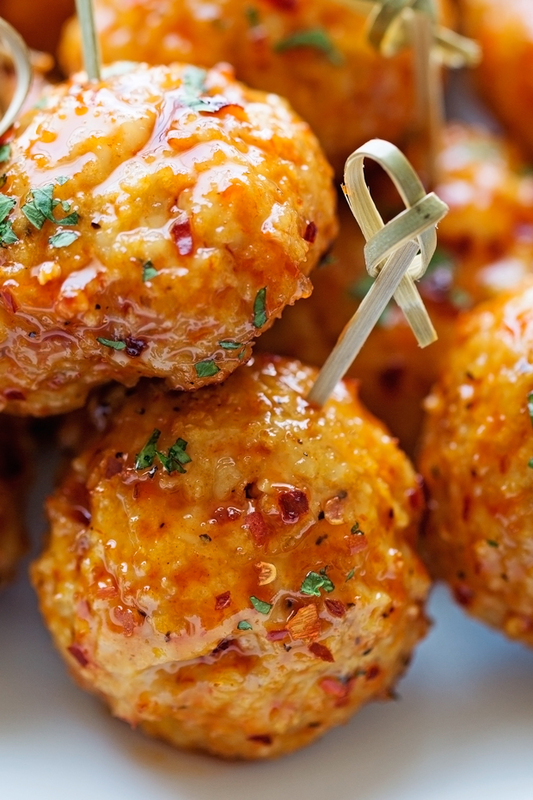 WHAT INGREDIENTS DO YOU NEED TO MAKE FIRECRACKER CHICKEN MEATBALLS? We’re keepin’ what goes into the meatballs simple because it’s that firecracker sauce that we want to stand out bright when you take that first bite. 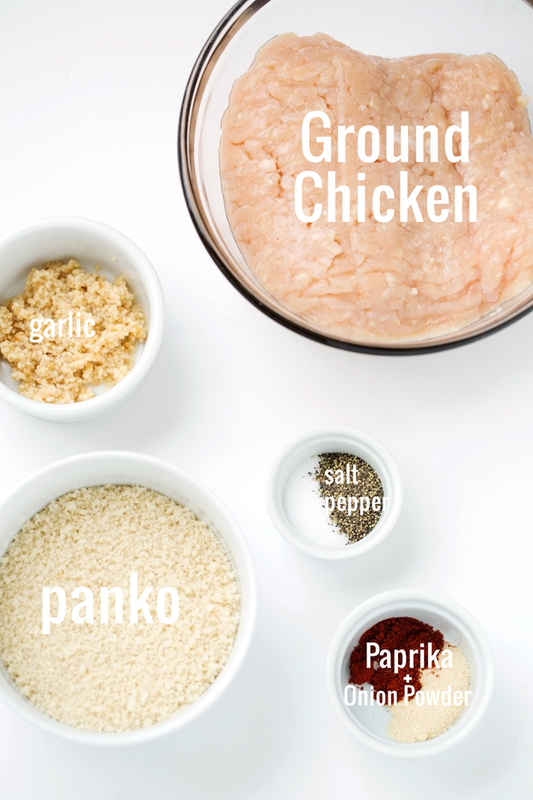 For the chicken meatballs, I used simple ground chicken breasts. Again, ground chicken thighs or a combination of ground chicken + ground turkey would be good too. The binding is simple. 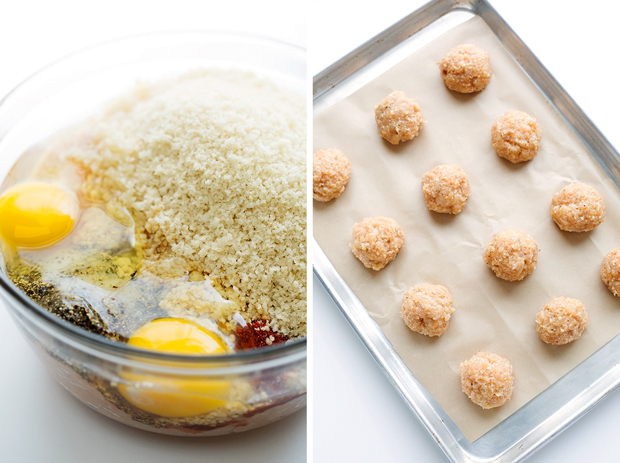 2 large eggs and a little panko. For the spices, paprika, onion powder, and obvi, garlic. It’s all pantry staples on this one, folks! You want to *just* combine the ingredients. When making meatballs, the less you work the meat, the better it is. I shaped mine into 3 tablespoon sized balls. It’s totally up to you how big/small you want them. The size I indicated will take about 11-13 minutes in the oven. The sauce is simple too. Since the meatballs are flavored with just enough to keep them moist, the real flavors come from the sauce! All you need is a little hot sauce (I recommend Franks), brown sugar, red pepper flakes, apple cider vinegar, and a pinch of salt. It’s 10 ingredients total if you don’t count the salt and pepper. The sauce is enough to coat all the meatballs with a little leftover for a drizzle before serving. 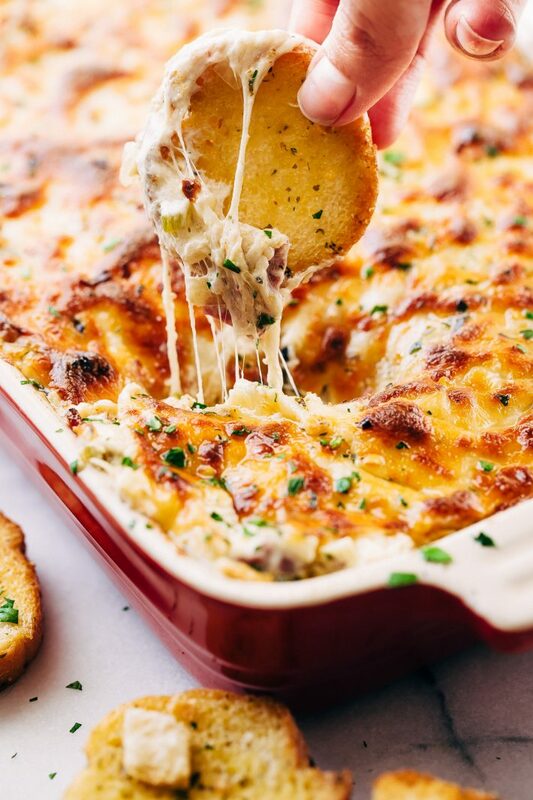 If you’re like me and you live to dip and dunk, double the sauce recipe. 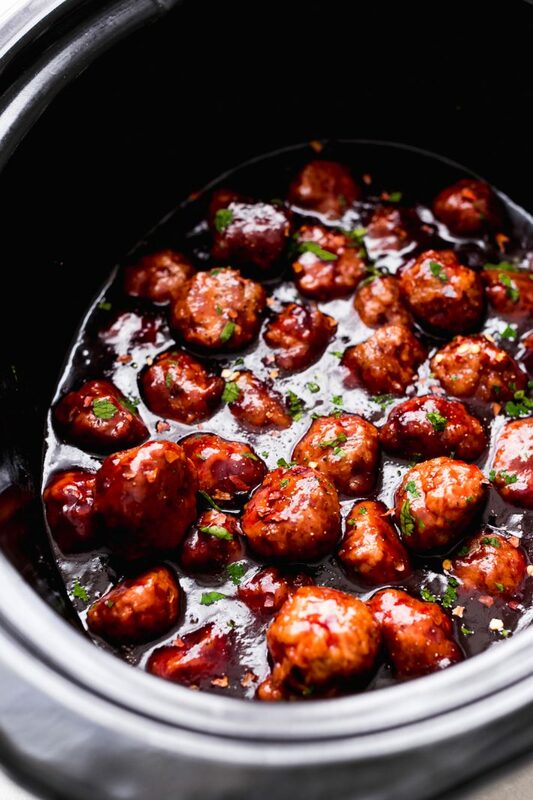 You can even serve these firecracker meatballs with a little white rice and broccoli and drizzle the sauce on there. I speak from experience, can you tell? And the best part is, you can mix up the meat mixture from the night before and just bake and drizzle them with the sauce the day of. 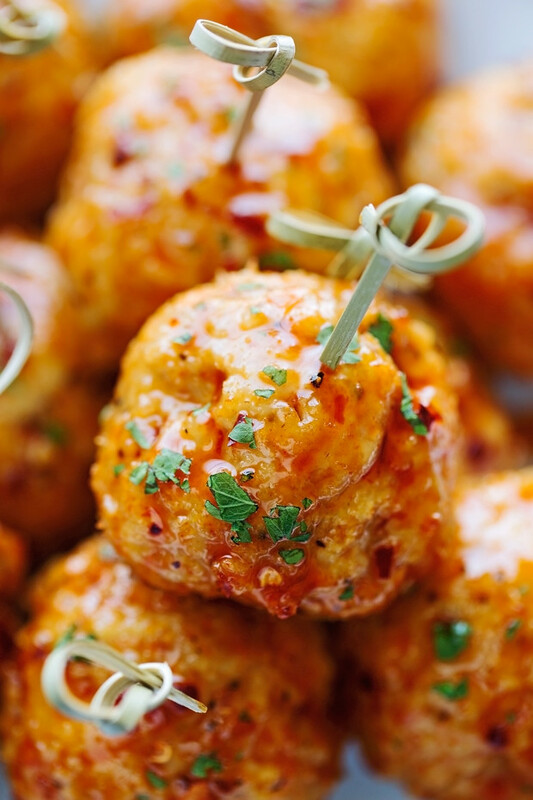 These tasty chicken meatballs are going to be the highlight of game day. Get ready to be host of the year!